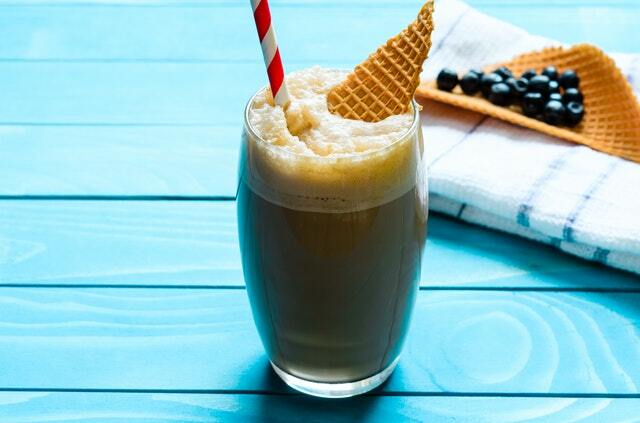 Nothing can beat a cool refreshing drink first thing in the morning or post workout! These best pumpkin smoothie recipes are the perfect choice during Fall! There are so many different ones to choose from. You be surprised at what goes nicely with pumpkin. I especially love pumpkin banana smoothies, those with mango and spinach to name a few. If you have a smoothie addiction it is best to make your own especially if you are making for several people. Not only do they taste better as you have complete control over the ingredients but they are much cheaper. Who wants to spend $8 per smoothie each day when you can make them for less. Before I list my pumpkin smoothie recipes I have to share my favorite first, which is pumpkin mango smoothie. I fell in love with Mango while holidaying in Barbados. They seemed to have a never ending supply and goodness they were so sweet. Our tour guide grew them in his garden so he was kind enough to give us several. This was in October and at this time you can find lots of fresh pumpkins in the shops or you can grow pumpkins in your own garden so you have unlimited quantity to work with. We’ve got Halloween pumpkins, Japs, Queensland blues and Butternuts on the shelves at the moment. If you can’t get pumpkin when mangos are available in your shops, use canned. It’ll still be deliciously creamy and sweet. Place all ingredients in a blender and mix until smooth. If it's a bit thick, pour in some milk until you get the desired consistency. Serve with ice and a straw! This definitely won't last long. I have already made lots of pumpkin banana smoothies and have the recipe here. I always have lots of bananas in the house (they are my go to snack to keep me full before I go on a brisk walk) so make several of these each week. Bananas are an essential ingredient of all my smoothies, including ones with strawberry and apple. I absolutely adore pumpkin pie spinach smoothie. I mean let us face it pumpkin pie is awesome on its own but in a smoothie with spinach!! Yummy. My little girl adores spinach on her pizza so I will be trying this recipe for her. Spinach is good for you and hard to incorporate into meals so this is perfect. Sunkissed Kitchen has the most perfect pumpkin smoothie recipe for this. This is one kids will love as it is layered with a yellow and green layer and topped off with cream, a sprinkle of cinnamon and pumpkin seeds for those that want it extra sweet! Here is another novel recipe for you from Civilized Caveman who produces a kid approved pumpkin custard smoothie. This would be a perfect treat post Kindergarten for my 3 year old. You can make any pumpkin smoothie sweet like a dessert drink by adding some whipped cream on top. You can add sprinkles to the cream, cinnamon, pumpkin seeds, pecans, wafers or anything you like! Lots of people want vegan pumpkin smoothies and luckily there are several of these available. Pumpkin Spiced Avocado Smoothie – a vegan drink that uses a few ingredients and takes 5 minutes to make is going to appeal to those that need some breakfast and are short of time. Savoury Simple has it covered with this recipe with almond milk, coconut milk, avocado, banana, pumpkin pie spice and maple syrup. If you are vegan and love pumpkin, chances you will have all these to hand. This tastes sweet but at the same time is super healthy! I love the idea of the Gingerbread Pumpkin Smoothie made by The Seasoned Mom. Like me she likes to put her leftover pumpkin to good us, by this I mean by making scrumptious pumpkin recipes. This is vegan and tastes so good! Obviously I don’t have to tell you that because gingerbread is amazing in drinks and smoothies are no different. 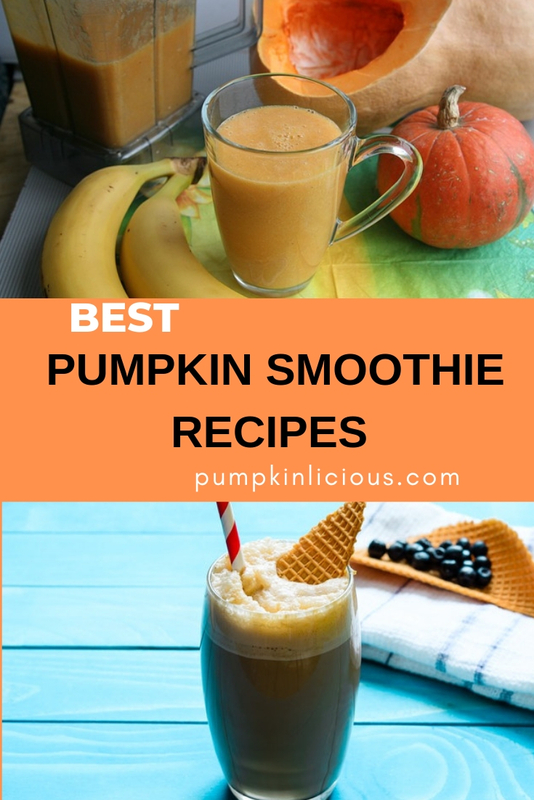 I hope I have left your mouth watering with these best pumpkin smoothie recipes!! 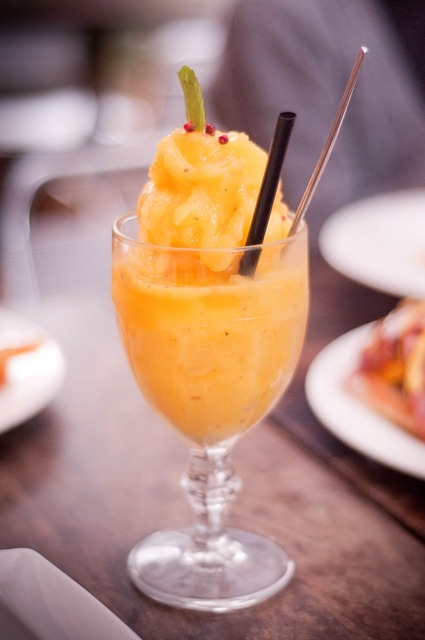 There is no tastier way to get so many portions of fruit and vegetables in one drink! I have to admit I have at least one pumpkin drink a day whether it be a smoothie or one of my favorite pumpkin spice coffees. Which of these Pumpkin Smoothie Recipes Will You Try?